U.S. President Donald Trump, left, shakes hands with Canada's Prime Minister Justin Trudeau in a bilateral meeting during the G7 Summit in the Charlevoix town of La Malbaie, Que., June 8, 2018. Canada fired back at Donald Trump’s metals tariffs with dollar-for-dollar retaliation. For autos, it might not be so simple. One of Prime Minister Justin Trudeau’s envoys said last week the government would respond “proportionally” if the U.S. imposes tariffs on vehicles and parts, though Canada hasn’t begun preparing any formal retaliatory package, two people familiar with the matter said. This contrasts with the European Union, which is already preparing a list of American goods to hit with protective duties in the event of auto levies. The U.S. Commerce Department has until February to report its recommendations to Trump, who has the final say on what tariffs might be imposed on global auto imports. At hearings in Washington last week, industry groups, workers and foreign governments almost universally condemned the idea. Stakeholders in Canada are conflicted on how the country should respond. An industry group representing car dealers warned that retaliatory tariffs would have a much bigger impact than the steel and aluminum duties, while others say Canada has to hit back just as hard. Canada’s auto-supplier association disagrees, saying the country has no choice but to respond in kind with counter-tariffs on U.S. autos and parts. One of Canada’s biggest auto suppliers backed that view, saying the country doesn’t have a choice but to retaliate. 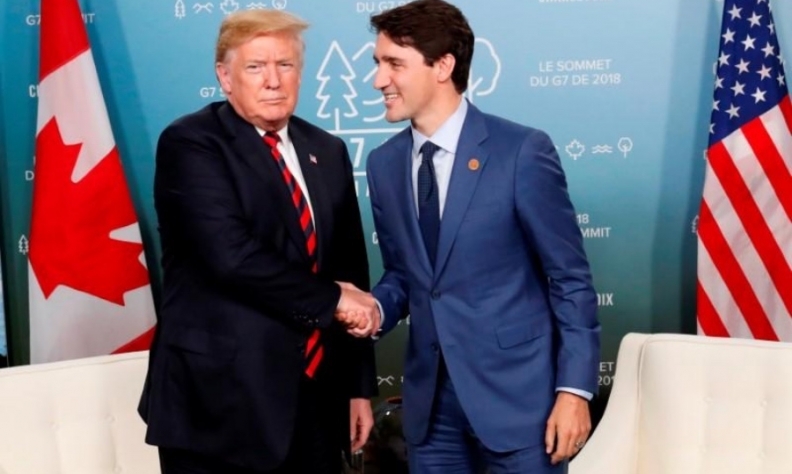 Rob Wildeboer, chairman of Martinrea International Inc., said it’s too early to decide whether retaliatory tariffs will be necessary, and Canada will have to “cross that bridge when we come to it.” He is supportive of the Canadian metal tariffs. “The Canadian response to the steel and aluminum tariffs has been proportional, it has been fairly sophisticated and it’s been done with consultation,” he said. There’s a lot at stake for the industry. Car parts makers Magna International Inc., Linamar and Martinrea could see stock price declines of 31 per cent, 20 per cent and 24 per cent respectively under a tariff-war scenario, according to BMO Capital Markets analyst Peter Sklar. A study by Toronto-Dominion Bank found U.S. auto tariffs would push the Canadian economy into a recession and put one in five Ontario manufacturing jobs at risk. The auto tariff is seen as a potential tactic to pressure Canada and Mexico into concessions in talks over the North American Free Trade Agreement. Perrin Beatty, chief executive officer of the Canadian Chamber of Commerce, said the government’s focus right now should be on preventing U.S. tariffs -- not on whether or how to respond. Canada’s federal government and the provincial government of Ontario, the heart of the country’s auto sector, testified last week at U.S. hearings and argued against tariffs.